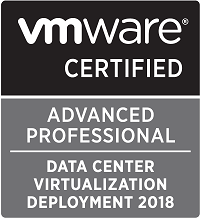 A couple of weeks ago I got the exciting news that I was accepted as a VMware vExpert for the second time. This award is a huge achievement for me and I’m humbled to be included in a community with so many top individuals, many of which I have learned so much from over many years. In total there are 1750 vExperts worldwide, and I am one of 12 based in Norway. 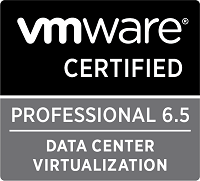 The vExpert program is VMware’s global evangelism and advocacy program. Hence it is not a technical certification, but rather an award for those that engages with their community to share their knowledge and «giving back» is a key in this program. The criterias that are evaluated differs slightly based on the path you apply for but basically the term «giving back» is defined as going above and beyond your day job. Activities that are looked at are blogging, event speaking, VMUG leadership, forum platforms and so on. I would strongly encourage people to apply for being included in the community. Applications are closed as of now, but there will be a new chance to apply in june for the second half announcements. If you have any questions or want some tips on how to put together your application please feel free to contact me. Or you can contact a local vExpert PRO. These guys are identified to identify and recruit new vExpert in their local communities. Wrapping up I must thank Corey Romero and all the great people working with the vExpert Program. I am extremely proud and honored to be part of this family.